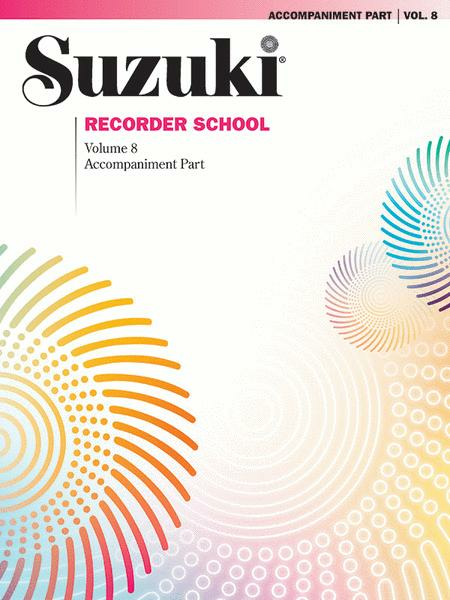 Acc.. Method/Instruction; Recorder Method (Suzuki); Suzuki. Suzuki Recorder School. Book. 36 pages. Alfred Music #00-30397. Published by Alfred Music (AP.30397). Titles: Adagio from Sonata in F Major, Op. 5, No. 4 (Arcangelo Corelli); Allegro from Sonata in F Major, Op. 5, No. 4 (Arcangelo Corelli); Dolce from Fantasia in F Minor, TWV 40:7 (G. P. Telemann); Spirituoso from Fantasia in F Minor, TWV 40:7 (G. P. Telemann); Rejouissance from Suite in A Minor (G. P. Telemann); Largo from Concerto in C Major, RV 443 (Antonio Vivaldi); Allegro molto from Concerto in C Major, RV 443 (Antonio Vivaldi); Allegro assai from Concerto in F Major (Giuseppe Sammartini).